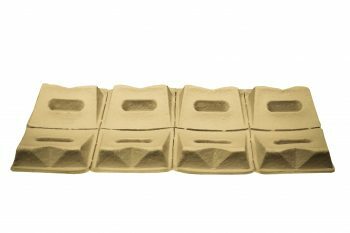 Item # 6000 Stakker® - Roll Chocks - Henry Molded Products Inc. Roll Chocks Part # 6000. Henry Molded Products is proud to offer 100% recyclable and recycled molded fiber roll chocks. The perforated roll chocks are divisible into 8 pieces per sheet.